Four weeks ago, my husband came down with what I thought was the dreaded man cold. Alas, it was not that at all, but rather the ravage-through-the-house stomach bug. Eek! Within two days my daughter had contracted the stomach bug. My husband’s doctor had recommended that he take a probiotic to help re-balance his gut, and when my daughter showed similar symptoms, I immediately began her on a probiotic regimen. Our pediatrician recommended that the kids take a probiotic when the boys were small and experiencing tummy troubles. I gave them a probiotic for a while but forgot after time. My daughter’s stomach bug brought probiotics back to mind, and I started not only her, but all of the kids, on a daily Hyperbiotics Pro-Kids. She has proclaimed positive results since beginning, and she actually reminds me every day to give her the probiotic. This is the first time ever that she has asked to take a tablet! 1)It increases the good bacteria in her tummy. A large amount of our immune systems lie in our digestive tract. Probiotics can assist in replenishing the good bacteria to help combat the bad bacteria. 2)Hyperbiotics Pro-Kids are a vegetarian, lactose-free, gluten-free, sugar-free, preservative-free, and artificial flavor-free way of replenishing with good bacteria. Some foods, like yogurt, have probiotics, but sometimes dairy can worsen tummy troubles. 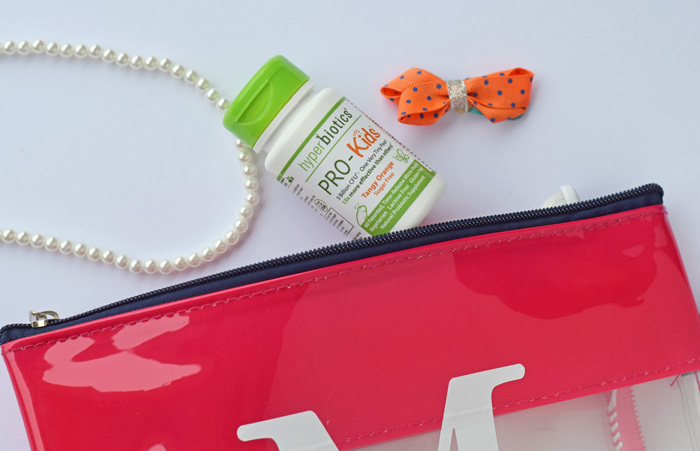 Hyperbiotics Pro-Kid help balance the gut within irritating substances like dairy and sugar. 3)Hyperbiotics Pro-Kids contain a time-released formula that can survive the harsh acids in the stomach. 4)Hyperbiotics promote improved immunity and can improve energy and clarity. 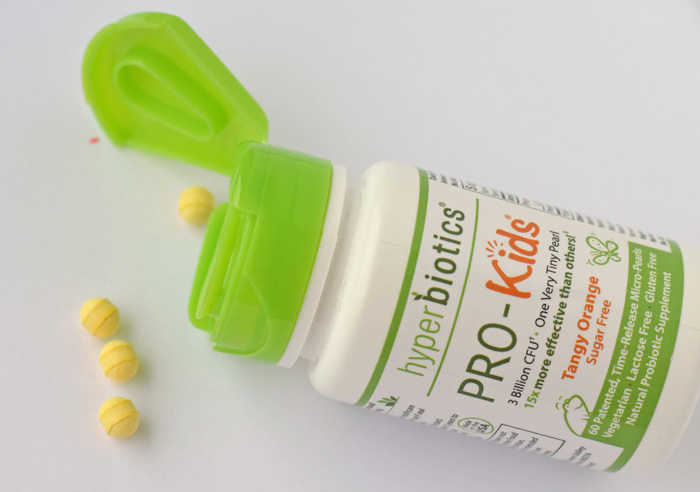 5)Hyperbiotics Pro-Kids are easy for kids to swallow and do not need to be refrigerated. This means that they are portable and can be taken in a carry on to Grandma’s house for summer sleepovers! I’ve made my daughter a cute personalized vinyl case to carry her essentials to and from Grandma’s. I’ve made one for me, too, which is the one that you’ll see in the below photos since I keep kiddo-information to a medium online. But hers is the exact same, and this is an easy 30 minute customized project! 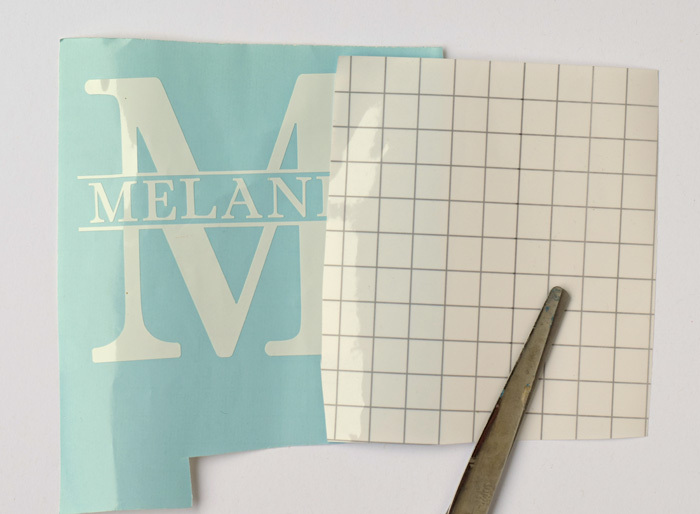 If you are cutting the monogram on your own cutting machine, follow this tutorial on making a split level monogram. Cut the monogram from the permanent vinyl. 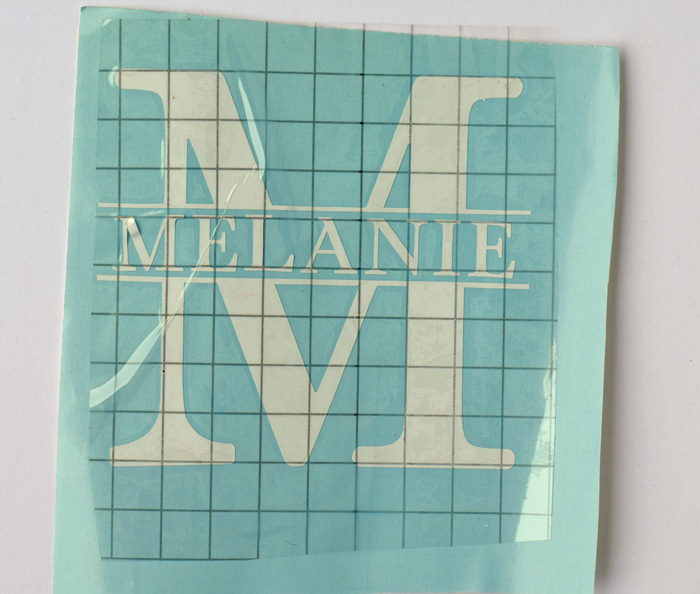 Cut a piece of transfer tape the same size as the monogram. Peel off the sticky backing from the transfer tape. 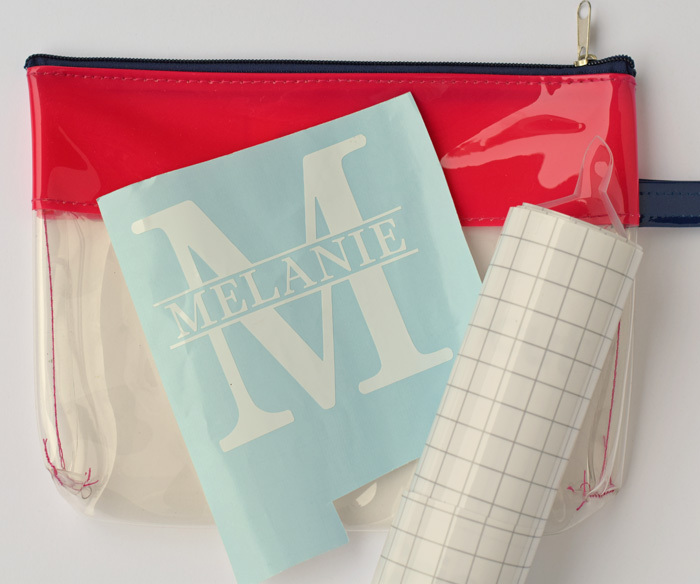 Apply the transfer tape to the monogram. Peel the backing from the monogram so that the only items left are the monogram on the transfer tape. Press the vinyl/transfer tape onto the center of the vinyl travel case. 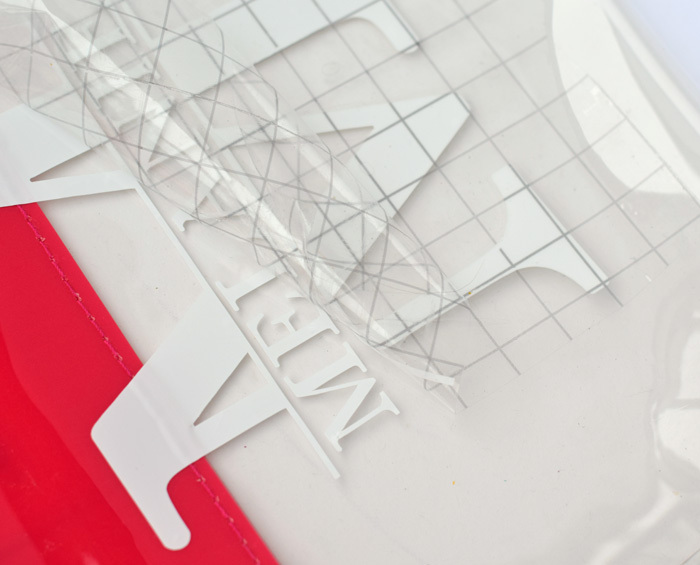 Use something with a sharp edge to smooth the monogram and adhere it to the vinyl case. Check the monogram to make sure that the edges are attached well. Now she can pack her essentials, and she is ready to go! I’ve noticed that her “essentials” usually consist of sparkly things and hair paraphernalia. Do you have any positive experiences with probiotics? Visit Target to purchase Hyperbiotics. Is the Cricut Trade-Up Program a Good Deal? Probiotics really helped my daughter with stomach issues while she was away at college. I’ve heard a lot of positive things about them, but have not tried them. 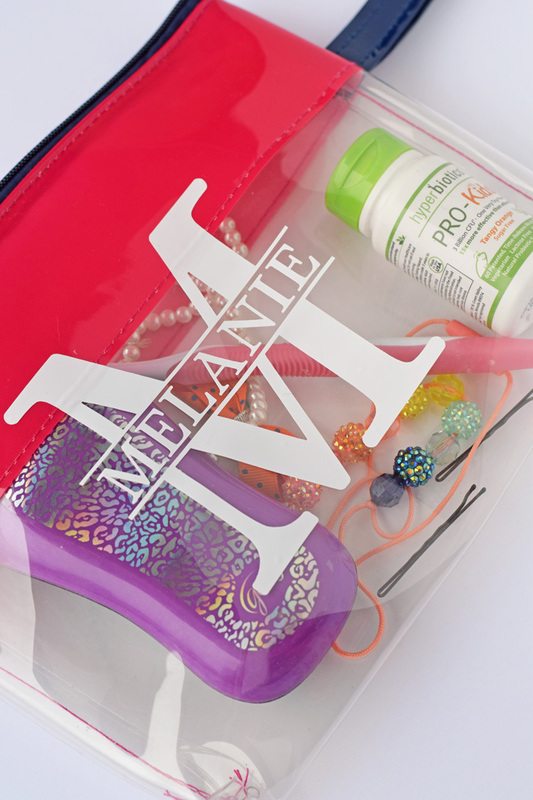 The personalized vinyl bag is a great idea for carrying essential things like medicines or hygiene items. 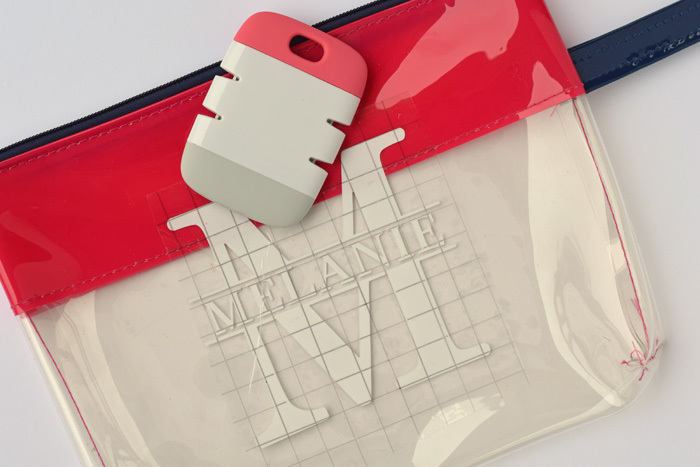 Monogramming adds an extra special touch, and would make it easier to identify if lost. What a cute little bag for carrying her essential! I love that you were able to monogram it .. it’s those special little touches that make a big difference. Now hopefully she won’t become like me and become a bag lady with too many treasures stuffed inside! I have to take daily probiotics for my IBS and let me tell you, since I have started taking them they have made such a difference in my life! Love this travel bag! It’s so cute that you can personalize it. Thank you for showing us how to make these vinyls. I am always worried when I travel about losing things because although I try to be unique, sometimes I just dont have the time. 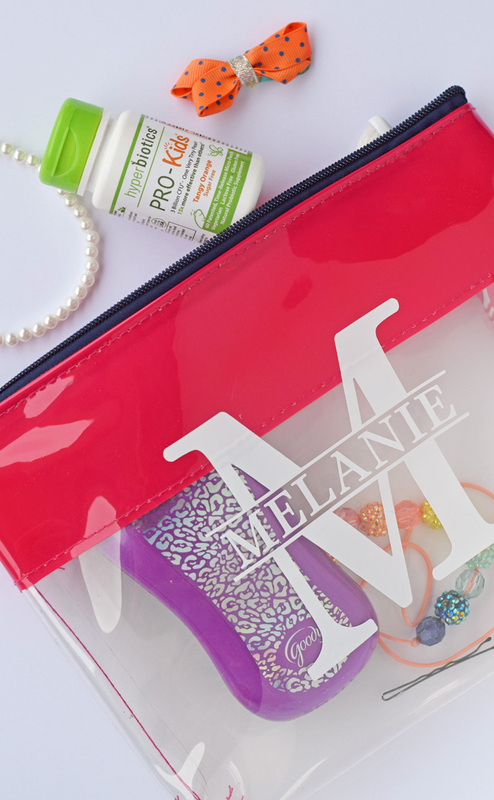 This looks pretty simple and easy, yet fast and effective for those traveling trips! Probiotics are so important for one’s overall health and well being. I don’t have a Cricut machine but as a crafter, I am definitely adding it to my list of things to buy. We have tried these probiotics and absolutely love the taste, convenience and effectiveness. Your bag is soooo adorable. What a great DIY item. I would love to make one for each of us. WE travel a lot. I am going to add this to my list of things to create before our next big vacation. Thanks for the fun idea. What an easy DIY project! 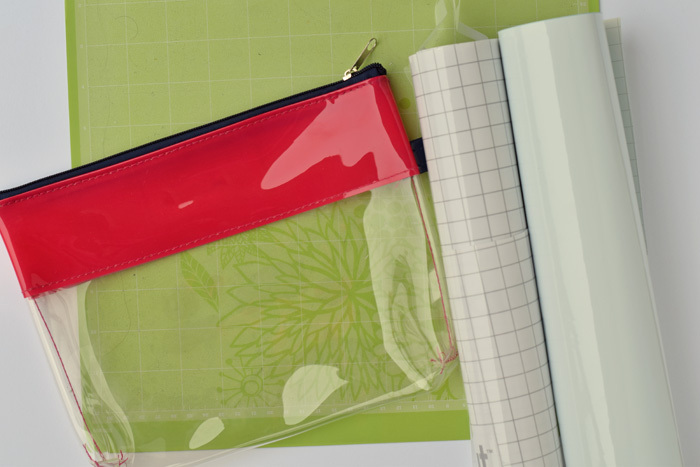 The bag is perfect for traveling or just for keeping small items together in your purse. Cute bag. I love how you tied in probiotics too. The boys and I get our intake from Indian River Grapefruit Juice. It’s amazing all of the benefits that come with probiotics. That bag totally looks store bought! Well done! Now my daughter needs one for her “crap” as I call it, Ha! Cute bag! This reminds me of a beach bag that I have that’s transparent…it’s so convenient!! I love that I can see everything in it. I love probiotics! My family swears by them. They have helped us tremendously. Will have to try these- thanks! What a simple and fun craft to do! I know at my one job a few girls had clear bags with them this way they could avoid the search if security wanted to, I think this would have been a fun way to decorate them up! Now as for probiotics… YES! I love mine! I think they are important for families to take! I haven’t heard of this brand but I will be sure to check them out! nice bag! Thanks for your explanation about how to make these vinyls. this is really helpful.